Does Length Make A Difference In Your YouTube Video Advertising Efforts? 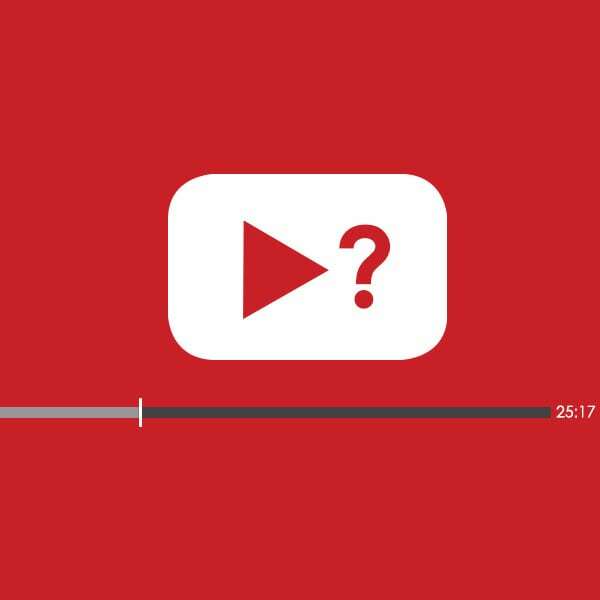 A seriously debated question for all producers; when it comes to YouTube video advertising, does the length make or break your video ad? How quickly can you captivate your audience? If it’s too long, will it begin to bore a viewer? It’s said that to really capture your audience’s attention, you should do so within 6-10 seconds in order to leave an impact. We’d agree this is true, but it’s really about the storyline and the message you have crafted. As length could vary by the budget implemented, attention and effectiveness could be overlooked. Recent TV advertisement research has determined that 15-second television ads are right around 75% as effective as popular 30-second spots. Research has shown that there is a consistent relationship between the viewing length of advertisements and peaks in brand awareness resulting in possible consideration. When it comes the length of a video, it’s important understand who will see it and where they are at. This is where understanding online advertising targeting options comes in useful. Defining if your future customers are in-market, near market or max-market will determine the length of your online strategy. Understanding the different types of video production services can help you leverage your next video project. On YouTube, you typically have to wait about 5 seconds before you’re given the option to press the infamous skip button to watch what you initially came there for. What does this mean for marketers? Those 5 seconds used to be 10 seconds, and will make or break your YouTube advertising strategy. They will have a viewer finishing your ad or shaking their mouse until the skip button makes its appearance. Shorter video ads have the power to make a difference when you combine education and entertainment. Same goes for longer video ads, your story and content have the ability to change a viewer’s mind. If you know your audience, then you know the types of videos best suited for your products or services. Sure, shorter video ads seem like they would be more successful on paper, but it really depends on the content. We are accustomed to these 30 second video and commercial ads in today’s day in age. The reality is, longer-form ads are effective in lifting brand favorability and likeliness. The added depth and dimension of more complex stories create a more meaningful connection to the brand allowing viewers to create an emotional connection. For brands moving beyond simple awareness, a longer story may be necessary to persuade in order to change the way a customer thinks or whatever assumption they have made up. There are many questions to lay out on the table before getting started. Who is your target audience? Who is watching already? What are their ages and demographics? All of these things play a role in your strategic advertising efforts. Whether you do that in a fifteen second video ad or a one minute video ad, it’s the content and the story that will make all the difference. Worthy content doesn’t need a time stamp. Make sure your planning is in line with your goals and what you want for the outcome. Are you a brand solely focusing on awareness? The short format of video advertisements will not only be efficient but they can be highly effective and successful too. Video ads that are 10-15 seconds have the power to raise awareness right off the bat while still implementing the brand the entire time ultimately driving viewers to your site. Longer videos build an emotional connection while allowing a viewer to also learn more complex information that usually can’t be accomplished in 10 seconds. The bottom line is that regardless of the length of your ad, it’s crucial to exceed in ad recall as well as the favorability and it’s important to always remember your goal as a business and a brand. Keep in mind, users who see your ads are seeing them before the content they came there to see, meaning that once they see the skip button, viewers are usually ready to click. Get the message out there while you have that audience! If you can intrigue your viewers with the first half of your ad then usually viewers will watch until the end. Here at Epic Productions we know the latest online video trends, we understand what it takes to have a competitive edge. If you’re looking for a series of short videos or a longer introduction vide. Let our Digital Team create a comprehensive YouTube video advertising strategy. Providing you with a competitive analysis to best fit your budget, goals and objectives.